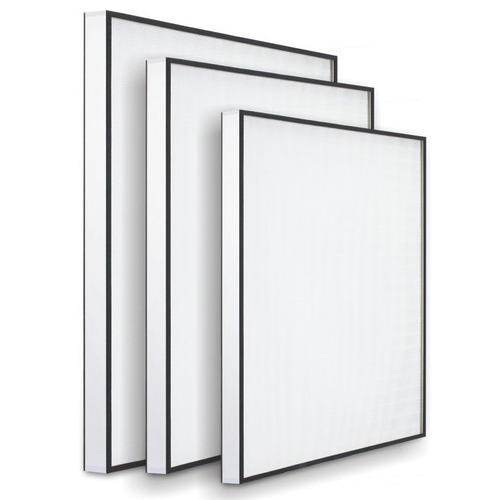 Counted as first among the best, we provide clients with the premium quality of ULPA Filter. 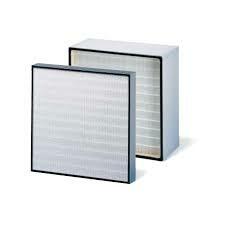 Large dust holding capacity and excellent air filtration efficiency make the ULPA filter highly demanded. Furthermore, the ULPA filter is admired for its fine uniformity of air velocity. The filter is used for removal of dust and dirt from different industrial processes and applications. As per the variegated requirements of our clients, we are offering a broad collection of Mini Plate HEPA Filter. The offered filters has the ability to capture 99. 97% of particles 0. 3 microns in diameter. These products are manufactured using excellent quality raw material and latest technology by our skilled professionals. In order to ensure quality, these products are stringently tested on various parameters by our experts. Apart from this, remarkable quality and easy installation increase the demand of our offered range in the market. frame material: ss 304 / gi (galvanized steel) / aluminum. filter media: glass fiber media / spun bonded polyester media.